Though it may sound counterintuitive, as a big competition date looms ever closer many swimmers reduce their training for one to four weeks prior in a process known as tapering. By reducing the workload in the training plan, it allows the swimmer to perform optimally for shorter stretches of time as a result of a season’s worth of training. It’s like compressing everything learned throughout the season into one quick and successful winning race! There are many different approaches to tapering one’s swimming techniques. Please use the following tapering workouts for swimming as a guideline in developing your own tapering plan that works best for your team of swimmers. While no two swimmers are exactly alike, there are a few general guidelines when developing taper workouts for swimming. Most coaches follow a variant of the 100:75:50 principal, meaning that the swimmer reduces their total distance to 75 percent in the first week then to 50 percent in the second week. For example, if your swimmers are usually swimming a distance of 4,000 yards, in the first week they would reduce their distance to 3,000 yards. In the second week, they would taper down to 2,000 yards. Some swimmers prefer to stretch out their tapering routines over a course of 4 weeks instead of 3. In this case, the ratio of tapering becomes 100:75:66:50. 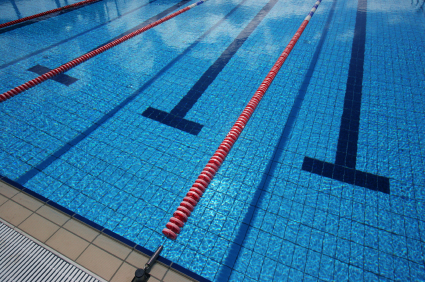 Some coaches prefer to taper all at once instead of over a three-to-four week period. This method of tapering i nvolves first swimming a number of general warm-up laps to get the blood flowing then three sets of 150’s where the first 75 is swam as fast as possible and the second is swam at a more relaxed pace. By keeping the stroke rate high in the first part the swimmer still maintains their muscular strength and co-ordination, whereas the second, slower set allows them some recovery. While tapering, many swimmers increase their warm-ups and cool-downs to twice their usual length, and make use of buoys and paddles during drills. Also make sure to take adequate resting time between drills. While the physical effects of taper workouts for swimming are undeniable, tapering also offers positive mental effects as well. As a big competition nears, a swimmer must build their self-confidence and bolster their positive self-image in order to swim their best. By tapering their workout regime instead of powering towards the competition, athletes are given more time to relax and focus on each individual stroke. A clear mental picture is the first step towards a successful, race-winning stroke. While some endurance swimmers fret during tapering because they are not comfortable with diminishing their devoted work ethic, I strongly urge you to try tapering with your swim team before the next big competition or swim meet. Instead of allowing your athletes to burn themselves out before the big day, they will come to the meet fully rested and mentally alert to the competition.